Beans offer you a plethora of health benefits, from proteins to antioxidants. Here are three ways you can enjoy this versatile superfood! Beans are one of the most overlooked superfoods. Here’s how to get this magical fruit in your diet! Beans, beans, the magical fruit. If only you knew just how true that little rhyme is! When you get down to it, there isn’t a lot that beans can’t do. In terms of nutrients, legumes are high in protein, fiber, and iron. Beans are also high in antioxidants and can even suppress your hunger and regulate your blood sugar. If you’re concerned about your heart, you’re in luck! Beans have been shown to lower cholesterol and are high in potassium and magnesium. Are they worth adding to a diet? One study from 2009 claimed that consuming more beans would improve the overall diet quality for Americans. If you’re wondering how you can start eating more beans, we’ve got good news! Legumes are incredibly versatile foods. Here’s a few ways you can cook up some delicious beans! 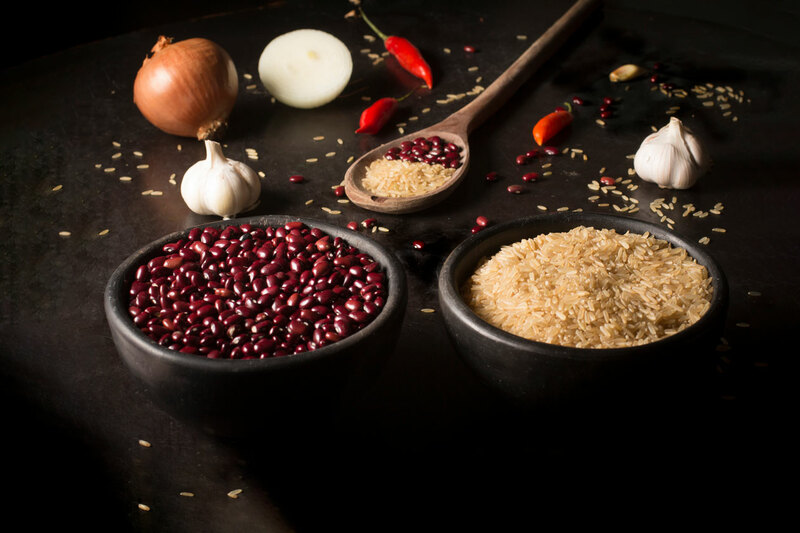 We’ve previously discussed the importance of rice and beans around the world in “What Can Plant Proteins Do For You?” For such an easy dish, it’s also very flavorful and can be a filling, quick option for dinner. Bring the vegetable broth to a boil in a pot. Stir in the brown rice and bring the heat to low. Cover the pot and let simmer for 18-20 minutes. Add the diced onion and sauté until lightly browned. Turn down the heat to medium and sauté the garlic for around 2 minutes. Remove beans from cans and wash them with water. Pat dry. Add them to the skillet to heat the beans through. Combine everything in the pot. Salt and pepper to taste, adding any additional seasoning you like! This dish is a blank canvas, so try different things. This is the bean equivalent of kale chips. It’s a simple recipe that makes a snack that’s great on the go or on the couch. Much like the rice and beans recipe, you can season these however you like. We’re using our chicken seasoning recipe from “Leftover Cash: Winner, Winner, Double Chicken Dinner” to make savory treats. Remove the chickpeas from the can and wash them under water. Pat the chickpeas dry with paper towels. Place the chickpeas in a large bowl and cover them with the olive oil. Season with the spices and mix thoroughly until evenly covered. Spread the chickpeas on a baking sheet covered with aluminum foil. When the oven is up to temperature, place the baking sheet in the oven. Leave in the oven for 40 minutes, checking them every 10 minutes. Shift the chickpeas each time you check to help them cook evenly. This classic Thanksgiving dish has been a staple on our tables since it was created by Campbell’s test kitchen in 1955. It’s remained as popular as ever, but in this health-conscious world, we thought we could make it a bit healthier. Tell us what you think! For directions on how to make the casserole, try Campbell’s classic Green Bean Casserole recipe. Just be sure to use the light substitutions we list above! Slice onion rings in half, making semi-circles. Mix the flour, paprika, garlic powder, salt, and black pepper. Dip the onions in the egg and dredge in the flour mixture. Place the onions on a baking rack over a tin foil-covered baking sheet. Bake for 20 minutes, checking at 10 and 15 minutes, or until crispy and golden-brown.